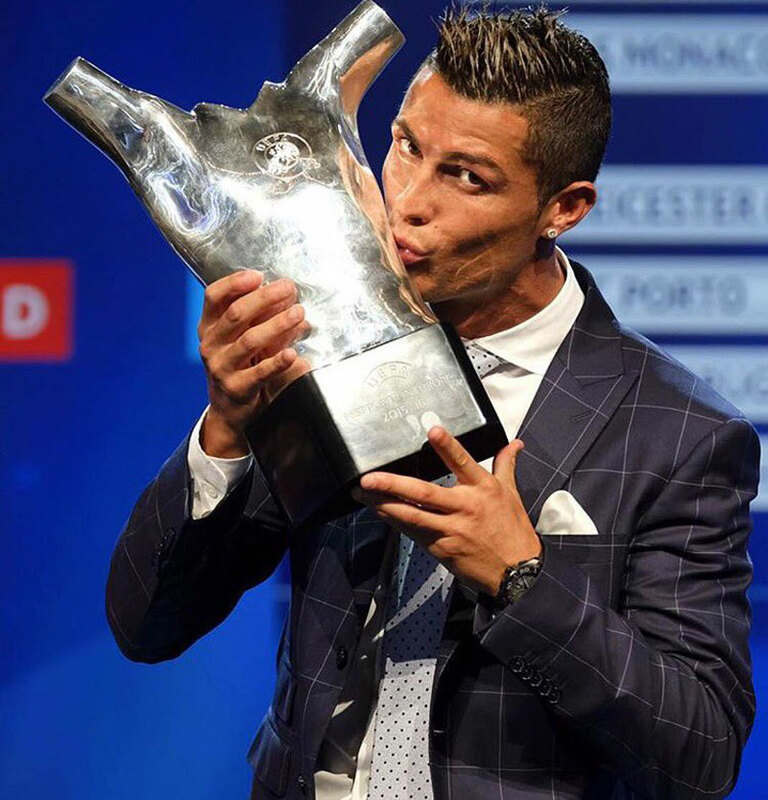 Real Madrid's forward Cristiano Ronaldo of Portugal, kisses his trophy after winning the best player of the year award, during the UEFA Champions League draw, at the Grimaldi Forum, in Monaco, Thursday. MONACO, Aug 26: Cristiano Ronaldo has won UEFA's award as the best player in Europe last season after helping Portugal to win the European Championship and having another stellar campaign for Real Madrid. 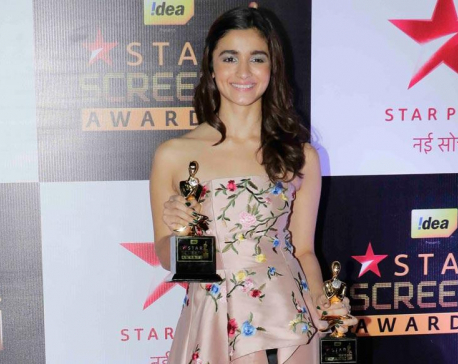 Ronaldo, a favorite for a fourth world player of the year award, beat club teammate Gareth Bale of Wales and Atletico Madrid's France star Antoine Griezmann. The vote, by journalists from UEFA's 55 member countries, was announced at the Champions League draw Thursday. Ronaldo also received the award in 2014. Lionel Messi (twice), Andres Iniesta and Franck Ribery previously won the award, which was first presented in 2011. 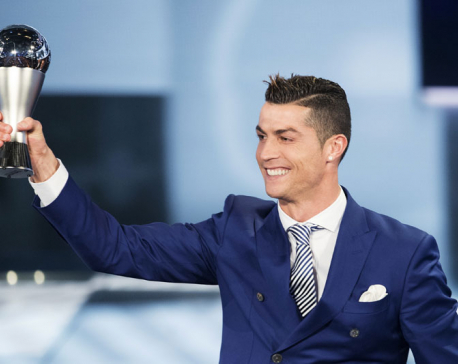 UEFA created the prize after the original European Footballer of the Year honor, known as the Ballon d'Or, merged with FIFA's world player award. Lyon forward Ada Hegerberg won the women's award.